There’s a simple personal finance mantra everybody should consider following: one spouse, one car, one house, one job. The idea is that if you stick with one of everything, you’ll maximize its usage, minimize extraneous expenditure, and live happily ever after. We get in trouble when we want too much. But one of everything can get quite boring. Thus, the divorce rate is ~50%. The average car ownership is six years. The median home ownership is seven years. And the average person job hops every three years. I want to review each item to see what’s truly ideal. I suspect the answer is different for everyone. Feel free to share your thoughts below. How Many Of Each Is Ideal For A Wonderful Life? Spouse: I only have one spouse, and plan to only have one spouse. We met when we were in college and have been together ever since. Now that we are business partners and parents, the stakes are way too high to split now! If we divorced, we’d have to waste money on lawyers, go through some serious financial forensic analysis, get another place to live, and share custody of our son. Verdict: One spouse is ideal. Cars: For my entire life, I’ve either had no car or just one car. With the invention of ridesharing, I’ve often wondered about having no car. But having no car won’t work because it would be a PITA to install a baby seat and bring a stroller every time we had to go somewhere. But for nine months, we had two cars because I actually bought Moose, my current family car in December 2016. Our baby was due in Spring and I wanted to get a larger vehicle before he was born. Sometimes babies are born early, and the seller offered a reasonable price. Two cars felt like a complete waste of money, but because the Honda Fit was a $235/month business expense, it wasn’t costly. Further, we have plenty of free parking right outside our house, which is a rarity in a city like San Francisco. I mostly still drove Rhino except when taking the little one to the doctor’s office. Once I returned Rhino, I felt lighter. It was a relief not to own him anymore because he had a lot of starter problems (will show a video in a future post). Further, it was nice knowing I was not financially responsible or liable for him anymore. Calling the auto insurance company to drop coverage was a happy moment. Verdict: one car is ideal + a ridesharing account per adult. Houses: Owning your own house feels awesome. There’s this magical feeling you experience that nobody tells you when you get the keys. Owning one rental property feels pretty darn good too. It’s nice knowing your tenants are paying your mortgage and that eventually, you’ll own the property free and clear to earn a nice cash flow. A vacation property can be great if it’s relatively close by and you use it for at least four weeks a year. But after three properties, if you have a job and a family to take care of, things start getting more difficult to manage. I thought I’d enjoy owning four properties consisting of a primary residence, two city rentals, and one vacation rental/property. But after three years of managing three properties at the same time, I finally had enough after my son was born. If I had perfect tenants, I wouldn’t have minded holding onto three rentals. But I knew renting out a house in the Marina district (infamous for being a homogenous party neighborhood in SF) near a busy street would only attract a group of 4 – 6 male roommates and not the stable family I was looking for. Verdict: Two properties, one consisting of a primary residence and a rental property to be truly long real estate. It’s much better to vacation all over the world and rent instead of always going back to the same place. Jobs: According to the Bureau of Labor Statistics, the average person has worked 10 different jobs before 40. Sounds high, but it makes a lot of sense if we are counting all the jobs one has held in their lifetimes. Before graduating college, I had four jobs. After graduating college, I had two jobs, three corporate consulting jobs, and my own business. What do you know. That makes 10 jobs for me too. I felt like I stayed at my last full-time job for two years too long. I should have joined a bucket shop for a big two-year guarantee and then quit. But if I did, I would have left a severance package equal to five years of living expenses on the table so I guess things kind of worked out. Verdict: Five jobs after college. The first job is to learn. The second job is to earn. The third job is to take a big step up in pay and responsibility. The fourth job is to explore a new field because you’re sick and tired of the old one. The fifth job is to take another gargantuan leap in pay or find your retirement job where you can just chill out, like one of the thousands of people who work at a massive corporation. During these job transitions, I hope to goodness you’re working on a side-hustle as well. I hope everyone can find a partner or a best friend to experience all of life’s highs and lows. My luckiest break really was getting an e-mail from my wife senior year in college wondering why I had skipped Japanese 101 class. Or maybe the real lucky break was having the foresight into thinking if I took Japanese 101 senior year, I could meet a girl just like my wife. After all, I could have taken any 101 class because I already had enough credits to graduate. Ah hah! Talk about predicting the future. I’d consider giving up all my money to be in college again. But I wouldn’t trade my family for the world. Since reliving the past is impossible, we just have to make the best of the present. One spouse, one car, one house, one job is good advice. But it’s worth shooting for a little more if you have the courage. The Monk: No spouse, no car, no house, no job. The Minimalist: Maybe a spouse, no car, no house, a boring job that doesn’t pay well. The Digital Nomad: Likely no spouse, no car, no house, a lifestyle business that requires cheaper living abroad. The Early Retiree: A working spouse, a car, a couple houses, lives off spouse, investments, or side business. The American: Onto their second spouse, two cars, rents, a soul-sucking job. The Ultra-Wealthy: Onto their second or third spouse, three or more cars, five or more properties, runs a business that will never let them be free even though they have all the money in the world. 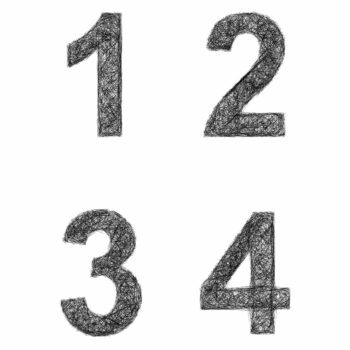 Readers, what do you think is the ideal number for each item and why? Which profile do you fit? The post One Spouse, Two Cars, Three Houses, Four Jobs appeared first on Financial Samurai.